The Little Mermaid is a gamechanger. Released at the tail end of 1989 (in fact, five days after I was born), the film was the most financially successful animated film for Disney in roughly three decades. A return to form for Disney both in style and execution, the film surpassed expectations at the box office, renewed interest in the genre, and was the start of the Disney Renaissance of the 1990s. While Who Framed Roger Rabbit got the ball rolling, it was this film that was the true launching point, proving that animated movies as potential blockbusters was not a fluke idea. While surpassed in popularity and quality by films like Beauty and the Beast (1991), Aladdin, and The Lion King, one cannot overlook the importance of this movie. Or the quality, for that matter. The Little Mermaid remains unique in its presentation and story, even among the movies I just mentioned. Beauty and the Beast may be a better Princess movie, but aside from that commonality these two films have almost nothing in common. So, if you’ll excuse the expression, let’s dive into Ron Clements and John Musker’s landmark movie. How Does This Affect the “Disney Princess” Trope? So I usually do this later, but as I was piecing this together I found it was best to get this out of the way first. 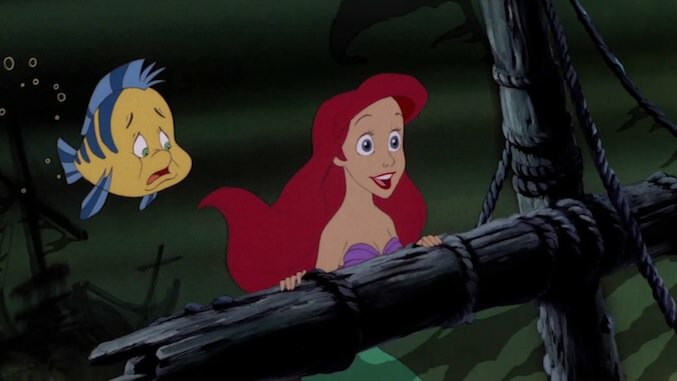 As the first Disney Princess movie of the modern era, The Little Mermaid arguably has a bigger effect on the genre than any film before or after. Critics praised it at the time for having a much stronger protagonist than other Princess movies. Ariel is not a glorified plot device, but the central character driving the narrative. She is not a one-dimensional ingenue, but a fully realized character with a personality (complete with flaws), goals and the drive to make her dreams come true. Ariel is curious, excited to explore and to learn, and she’s rebellious and reckless enough to sell out for a thin chance at living an impossible dream. I’ve seen a lot of internet hot takes railing against this movie, some of them from people I respect making legitimate points, and some from people that clearly haven’t attentively watched the movie and want to tackle it with their “feminist” point of view for the hits. 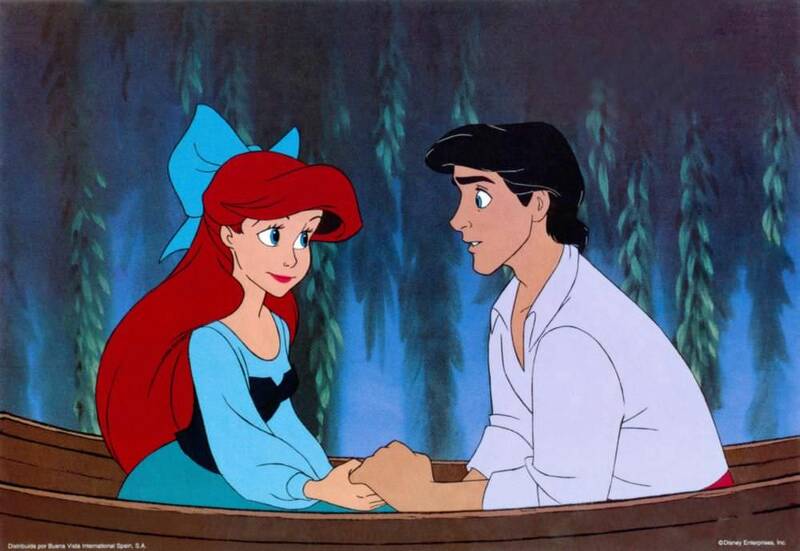 So, let me address the first complaint I always hear; that Ariel changes herself to be with a man, which is the “moral of the story.” Well, firstly, it’s established long before Ariel ever meets Eric that she’s longed to be part of the human world. Not “Eric’s world”, but out of the sea, with the humans she’s always been fascinated by. 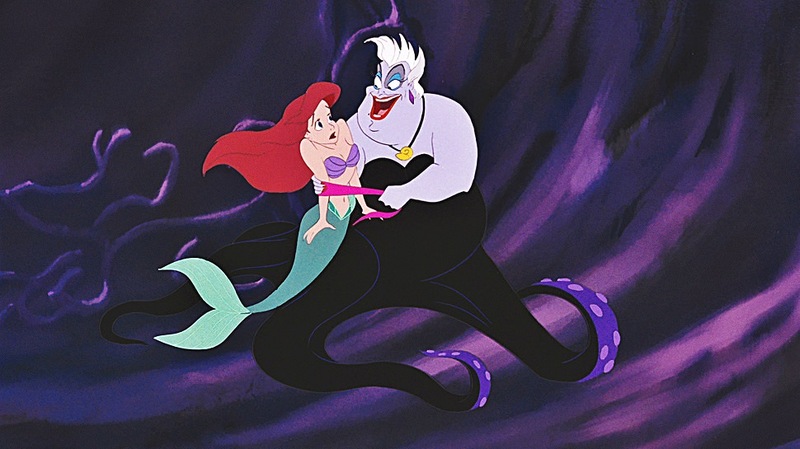 Does her crush on Eric motivate her to turn to Ursula for help? Yes, but so does the fact that her father came into her room and destroyed all of her stuff in a bigoted rage. So, you know, context is important. Eric does matter to her, but not nearly as much as being human (which is important for reasons I’ll get into later). Indeed, the emotional climax isn’t about Eric, so much as it’s about these two. The second complaint I hear has a little more validity to it, which is that Ariel is a disobedient, headstrong teenager making reckless decisions to rebel against her parent. Which is true. It’s also true that her bad decision puts her family and the whole ocean at risk, and she never learns a lesson or grows as a character from this. Ariel is a static character, and she’s not really meant to be a role model, but a character that the prospective audience can relate to. While I agree that some of this behavior is less than ideal, I think a lot of hate towards it just comes from a culture that hates teenage girls and wants to put down anything that validates their feelings. Is it more traditional for a character, especially a teenager, to mature as the story plays out? Yes, but it’s not mandatory. Sometimes, the protagonist is right all along, doing what they are supposed to be doing, and it’s the people around them who need to change. And you know what? Sometimes that is the case in real life too. To me, The Little Mermaid is a net positive for Disney Princesses. She’s the first one who has agency throughout the film, she’s the first one to feel authentically flawed instead of idealized, and she owns her movie to a degree that not even her contemporaries Belle or Jasmine did. Disney made a lot of progress in how they portrayed their female protagonists here, and while Ariel is far from perfect and the story still has some ethical issues (three-day romances are still a thing), I feel it doesn’t always get its due for being a massive step in the right direction. The Little Mermaid didn’t become Disney’s biggest success for nothing. Clements, Musker and company took a look back at what were Disney’s biggest and most lasting movies and deliberately brought back the concepts of fairy tales, princesses and the musical format. But they also knew they had to update it, since it had been thirty years since Sleeping Beauty and a lot had changed. Instead of a Brothers Grimm tale, they adapted a fairy tale from 19th-century author Hans Christian Andersen. And when it came to music, they approached the duo behind Little Shop of Horrors: composer Alan Menken and lyricist Howard Ashman. It’s a classic princess story, but in a decidedly new setting and with a more modern sensibility. Taking what had worked best for Disney and updating it to be better than ever was the goal, and that appeal to nostalgia while creating something new and dynamic is the key to why The Little Mermaid worked at the time and endures today. As I’ve established, I see Ariel as an imperfect but compelling lead character. I find her relationship with her father to be one of Disney’s more nuanced and emotionally resonant stories out there. Triton has an understandable fear of humans and forbids his daughter from exploring their world or falling in love with a human. He doesn’t consider that his daughter may have wants and needs outside of his ocean, and when pushed, reacts with a violent temper that is truly unsettling. He also implicitly rejects the idea that humans can be anything other than the little box he’s put them in. Triton eventually learns some important life lessons, and empowers his daughter to make her own decisions. While Ariel may lack a traditional arc of her own, the impact she has on her father provides the film with a dynamic character and an emotional core. It’s important that the subtext ofAriel not feeling like she is her true self and always wanting to be a human not be ignored. It isn’t just a story about being yourself, it’s about being who you were meant to be even when there are impossible odds and disapproving family members in your way. Hans Christian Andersen’s original story had some definite Christian symbolism; the mermaid wants to be human so she can have an immortal soul. But many scholars also believe the book is, intentionally or not, a deeply personal allegory about Anderson’s love for a man. While there is no conclusive evidence of the degree to which Hans was bisexual (letters exist, but Hans was celibate and also self-loathing), I find this to be an impossible aspect to ignore when one considers the contributions of Howard Ashman. As Disney has stated, Ashman gave Ariel her voice, and that voice was about wanting to leave one world to be part of another, which her father forbids. But even if one wants to ignore a queer reading, the metaphor of the story fits real life issues like interracial romance or simply choosing a different religion or career path from what your parents expected from you. That broad applicability boiled down to a simple narrative is likely why so many people find themselves connecting to Ariel. The Little Mermaid has more thematic strength than I think people, even devoted fans, give it credit for. But there is also plenty to love on a pure entertainment level. The animation is stunning and done almost entirely by hand, and when one watches something like Ariel’s hair, Ursula’s tentacles or all of the bubbles used to convey movement in the water, it’s impossible not to be impressed. They also step up their game as far as facial emoting, allowing Eric to feel more fully realized than he is and for Ariel to communicate with the audience after she loses her voice. Ursula remains one of the most distinctly alien creatures Disney ever created, and one of their most memorable villains. And do I even need to talk about the music? Alan Menken’s score is stellar throughout, adding so much to scenes like the shark chase and Ariel’s date with Eric. But when he and Ashman work together, it’s magic. “Part of Your World”, “Under the Sea”, “Poor Unfortunate Souls” and “Kiss the Girl” are still some of the best songs Disney have ever produced. This section is actually kind of difficult for me to write for this movie. 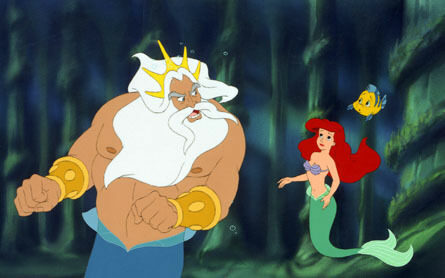 Not because The Little Mermaid doesn’t have problems, and not even because I have to set aside my bias. It’s more that the flaws aren’t so much problems, but rather “aspects that could have been better” and were done better in later movies. Ariel has character flaws and makes a questionable decision that feels like it should have more consequences, but she doesn’t really suffer or grow because of it. Eric is still a bland love interest in a long, storied history of bland love interests. While it makes sense for him to kill Ursula, it isn’t very satisfying. 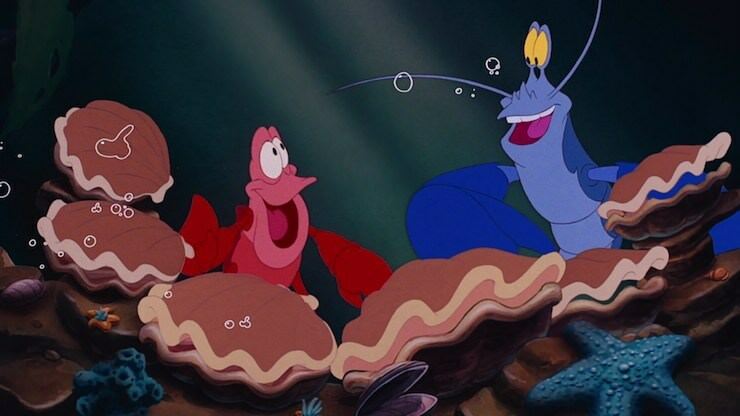 Scuttle and Flounder are serviceable but not particularly memorable side characters. Here’s the thing though. One has to consider these problems in the context of when The Little Mermaid was released and what came before it. Disney was going back to the Princess well in order to reinvent it. Ariel’s not a deep or admirable character, but she is proactive and full of personality, which is worlds of improvement over Snow White and Aurora. Eric may pale in comparison to the Beast or even someone like Flynn from Tangled, but compared to the Prince Charmings of Snow White and Cinderella, he’s much better. The sidekicks may not be as good as the mice from Cinderella, but the film isn’t relying on them because the focus is almost entirely on Ariel’s story, which is the right call in my opinion. It’s hard to be harsh on a movie that’s taking huge strides to improve on its predecessors. Yes, they are somewhat clumsy strides. Yes, later movies made more substantial upgrades. 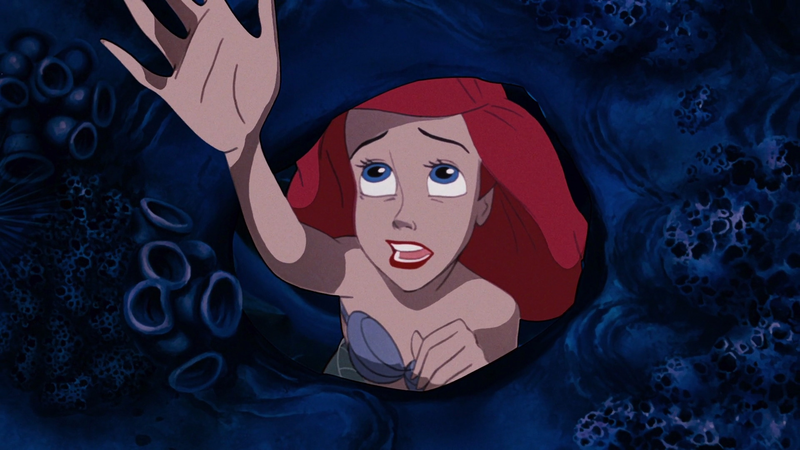 But without The Little Mermaid doing what it did, it’s difficult to imagine these movies getting the chance to do so. Much like Ariel, the creators are growing, making mistakes and learning from them. I mentioned my bias in the last section, and I’m not going to shy away from owning that. I love this movie, and it’s ingrained in my psyche on a level that even objectively better Disney movies from the 1990s weren’t able to do. 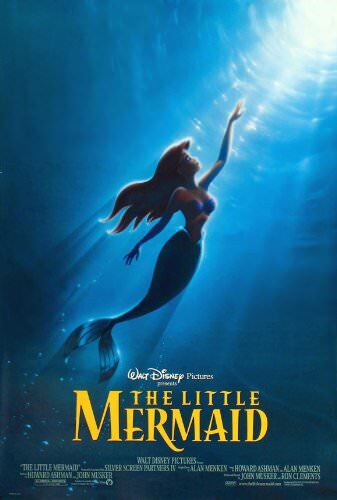 I loved it as a kid because I was fascinated by marine biology and always wanted to explore the ocean, so I loved the underwater stuff even if Ariel wanted to escape it. (This is probably why I have a soft spot for aspects of the admittedly lazy and not very good direct-to-video sequel.) But as a teenager, the idea of feeling uncomfortable where I was and wanting to be part of something else somewhere else latched onto me, and in some ways I’ve never outgrown that. 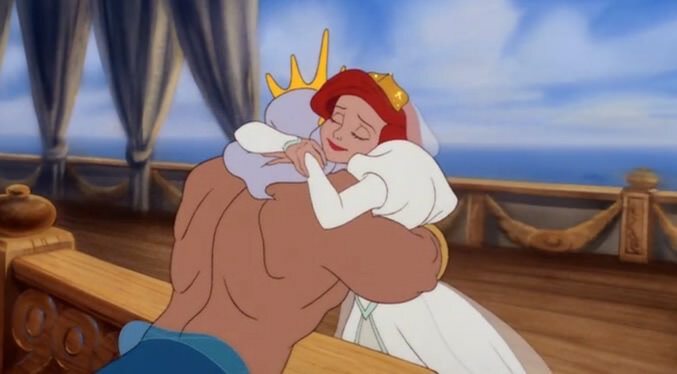 As an adult, the movie still speaks to me, as I’ve been coping with the loss of my grandfather, a man who could be as carelessly mean-spirited as King Triton at points in my life but who ultimately became more accepting and proud of me than almost anyone. So it’s a challenge for me to set all of that emotional connection aside and just look at the film objectively, and I’m not sure I can or even need to. The Little Mermaid is far from a perfect movie, and one of the most divisive in the Disney canon. What for some is an inspiring and empowering story is for others a deeply flawed movie that perpetuates gender stereotypes and has nothing of value to say. But while I acknowledge some issues, I fall firmly in the first camp. The Little Mermaid deserves its place in pop culture and I suspect it will be considered a classic for a long time to come. I log reviews for every film I see, when I see them. You can see my main page here. Recent reviews include my newest thoughts on Star Wars: The Last Jedi and Black Panther, as well as Paddington.